Summary: Violet Ambrose is grappling with two major issues: Jay Heaton and her morbid secret ability. While the sixteen-year-old is confused by her new feelings for her best friend since childhood, she is more disturbed by her "power" to sense dead bodies—or at least those that have been murdered. Since she was a little girl, she has felt the echoes that the dead leave behind in the world... and the imprints that attach to their killers. Violet has never considered her strange talent to be a gift. But now that a serial killer has begun terrorizing her small town, and the echoes of the local girls he's claimed haunt her daily, she realizes she might be the only person who can stop him. Review: WOW! was literally the first word that rolled off my tongue right after I read the very last page of The Body Finder and closed the cover. I'm not even sure where to start with this book honestly. I read the synopsis one night as I filed through a large stack of sale books at a bookstore and was immediately impressed with the storyline. When I read first read the title, I thought maybe it was similar to those "I see dead people" movies... but I was wrong, and in a good way! 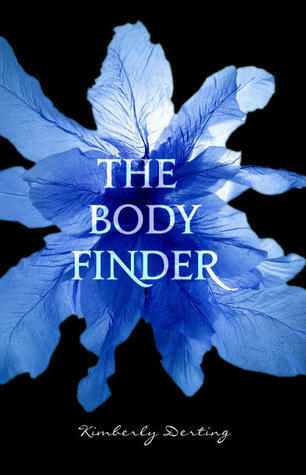 The Body Finder surpassed all my expectations of a fantastic read: the vocabulary and writing is exquisite, a thrilling storyline with a plot that will have any person on edge, and some of the sweetest and not so sweetest characters ever. I loved the fact that Kimberly adds tidbits of the killers thoughts into the book- yes, parts were creepy, but it made my mind turn and question myself as to who the killer could possibly be. There is a fun romance story amongst the frightening and suspenseful storyline that had me head over heals in love with the couple: Violet and her best friend, Jay. The author does an excellent job with portraying a young couple. Another thing I truly enjoyed was reading the dialogue between Violet and her school friends- typical high school girls- had me laughing. It is VERY easy to sit down and read in a days time. Don't be surprised if you can't put it down. Yes, its that good! :-) I recommend this book to anyone. I do think that some of the ideas could potentially scare a younger reader, afterall, it is about a girl who tries and finds a killer after she uncovers the bodies that he has buried, but yes, this book is great, and I can't wait to continue with the second book Desires of the Dead! This is an AMAZING book! I couldn't put the book down. I read Body Finder in 1 day! It is an awesome mix of action and romance. I got to say, Kimberly Derting really out did herself. I cant wait for the next books to come out. And hope the movie goes to the big screens!!!! This book is an intense ride, I picked it up and finished it in about 7 hours, though I did not want it to end, I just had to know what would happen next...and the ending, nothing I can say short of WOW, it's intense!